The massive, world-wide outpouring of grief at the death of David Bowie notably focused on not only his stunning musical output, but also his fascinating refusal to stay the same--the same as other trending artists, or even the same as himself. 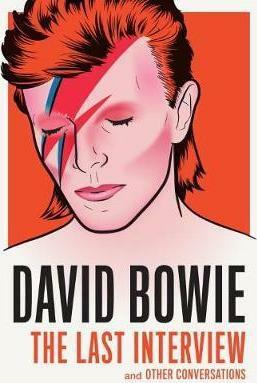 In this remarkable collection, Bowie reveals the fierce intellectualism, artistry, and humor behind it all. From his very first interview--as a teenager on the BBC, before he was even a musician--to his last, Bowie takes on the most probing questions, candidly discussing his sexuality, his drug usage, his sense of fashion, how he composed, and more. For fans still mourning his passing, as well as for those who know little about him, it's a revealing, interesting, and inspiring look at one of the most influential artists of the last fifty years. Born in London in 1947, David Bowie was one of the most influential musicians, performers, and songwriters of the last fifty years, captivating generations of fans and inspiring countless performers across every creative genre. His consistent evolution (spanning styles from rock 'n' roll to soul, funk, techno, disco and jazz) and shifting personae (from Ziggy Stardust to Aladdin Sane and the Thin White Duke and on) made an indelible impression on pop music and culture. Some of his classic hits include "Changes," "Fame," "Heroes," "Let's Dance," and "Space Oddity" An accomplished actor, Bowie starred in The Man Who Fell to Earth in 1976. He died on January 10, 2016--two days after the release of his 35th album, Black Star.